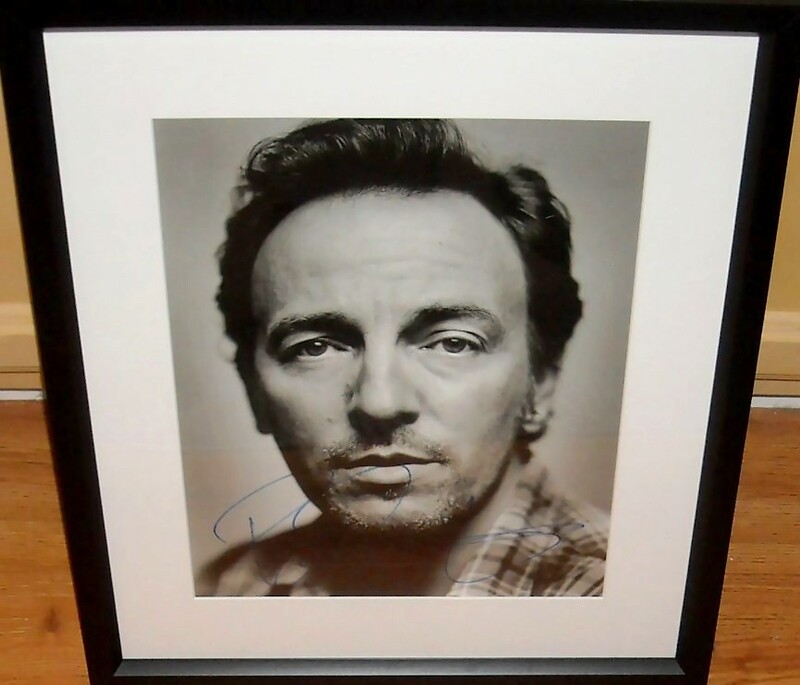 Spectacular black and white portrait photo shot by Rolling Stone photographer Mark Seliger for his coffee table book Physiognomy, autographed in blue marker by legendary musician Bruce Springsteen. Professionally matted and framed with glass, ready to hang. Framed size is about 15 by 19 inches. Obtained from the estate of an in-person collector who evidently had excellent access to Hollywood celebrities and entertainers. With certificate of authenticity from AutographsForSale.com. ONLY ONE AVAILABLE FOR SALE.